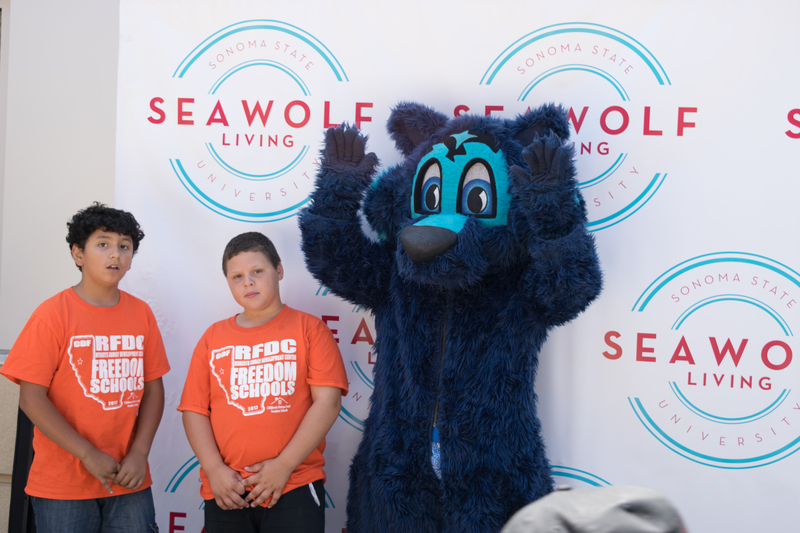 Sonoma State University Provost Lisa Vollendorf asked the 500 children visiting the campus from Sacramento's Roberts Family Development Center on July 13 how many students attend Sonoma State. "It's more than a thousand," she replied to one. "No, it's less than 5 million," she told another. "It's about 10,000. This is a school where the faculty and teachers know your name," she told the largest group ever to visit Sonoma State for a tour. This was the second annual "I Am the Future Day" visit by RFDC, who was also invited last year by President Judy K. Sakaki to experience a taste of college life. 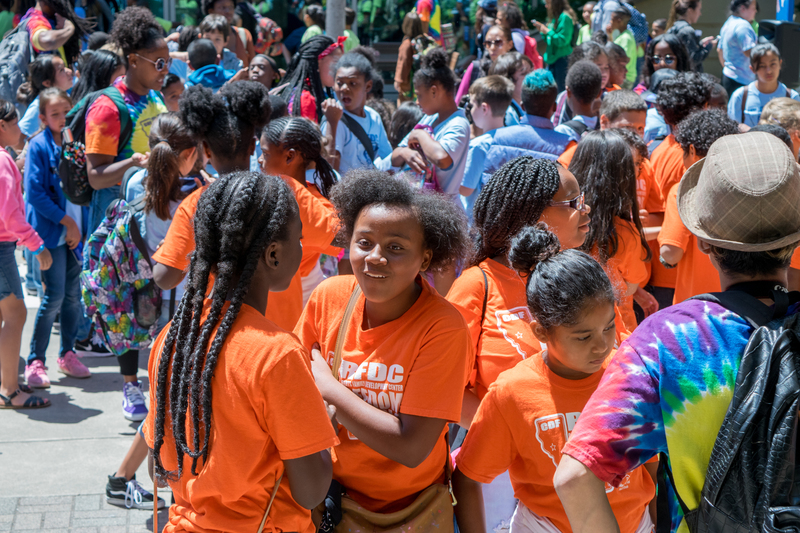 The K-8 students were treated to lunch in the student cafeteria The Kitchens, activities and demonstrations with faculty and staff throughout the day, and dinner and a movie al fresco on Weill Lawn at the Green Music Center. 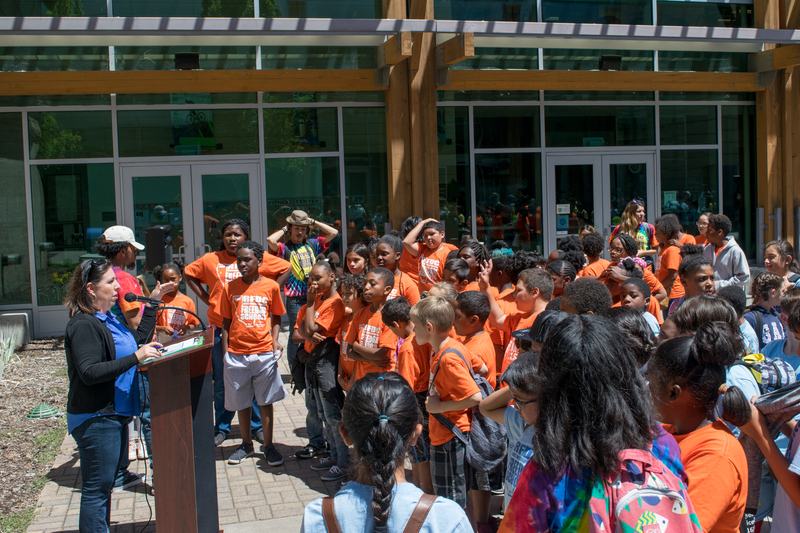 Vollendorf, who officially began her tenure as Provost about two weeks prior on July 1, encouraged the children to envision themselves as college students. 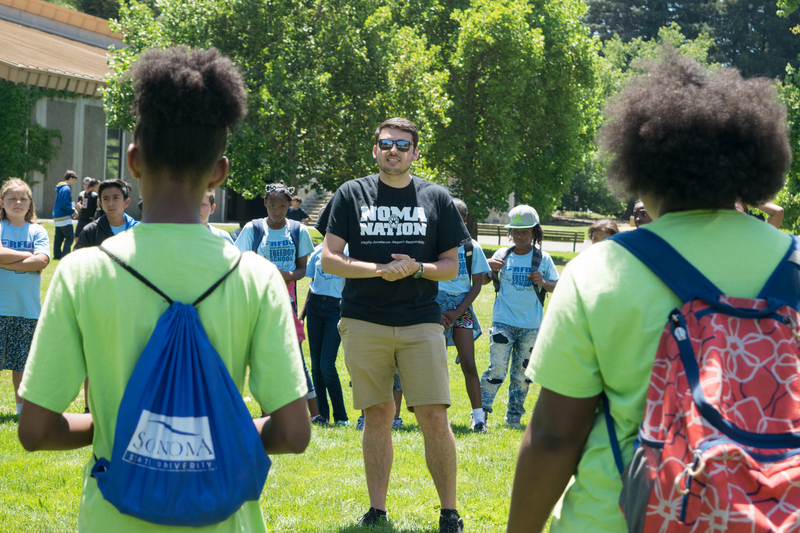 "As you walk around, think about becoming a student here and think about telling your brothers, sisters and friends that if they work hard in school, Sonoma State is a place for them too," she said. RFDC serves mostly African-American youth in underserved areas of Sacramento. Most of the children in the program would be the first in their family to go to college, so having an experience like this is important to plant the idea of college in their minds, say RFDC program coordinators. President Sakaki has made diversity and inclusivity a priority throughout her higher education career. Since beginning her tenure as President at Sonoma State, she has continuously supported initiatives and programs with the message that everyone can go to college, including attaining federal recognition for Sonoma State as a Hispanic Serving Institution earlier this year.